What Drugs are Used to Treat Alcoholism? This dataset provides statistics on alcohol related hospital admissions as well as the number of prescriptions for the treatment of alcohol dependence in 2016 in England. 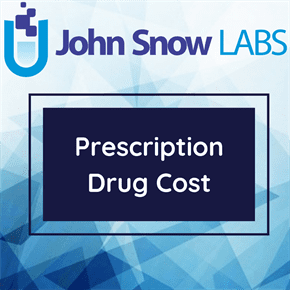 The information in this dataset is obtained from the Prescribing Analysis and Cost Tool (PACT) system, which covers prescriptions prescribed by GPs (general Physicians), nurses, pharmacists and others in England and dispensed in the community in the UK. Prescriptions written in hospitals /clinics that are dispensed in the community and not included in the data. Prescriptions written in England but dispensed outside England are included. Prescription items per 100,000 population are based on Office for National Statistics (ONS) estimated mid-year resident population for 2014 and have been updated since the publication of Statistics for Alcohol, England 2015 when population estimates for 2014 were not available. – Acamprosate Calcium (Campral) – helps restore chemical balance in the brain and prevents the feelings of discomfort associated with not drinking, therefore reducing the desire or craving to consume alcohol. – Disulfiram (Antabuse) – produces an acute sensitivity to alcohol resulting in a highly unpleasant reaction when the patient under treatment ingests even small amounts of alcohol. – Nalmefene (Selincro) – is the first medicine to be granted a license for the reduction of alcohol consumption in people with alcohol dependence. It helps reduce the urge to drink in people accustomed to large amounts of alcohol, but does not prevent the intoxicating effects of alcohol. In 2015/16, there were 339 thousand estimated admissions related to alcohol consumption. This is 3 percent higher than 2014/15. Blackpool had the highest rate at 1,160 per 100,000 population. Kingston upon Thames the lowest rate at 390. There were 1.1 million estimated admissions related to alcohol consumption in 2015/16. This is 4 percent more than 2014/15. Just under two-thirds of patients were male. Blackpool had the highest rate at 3,540 per 100,000 population. Isle of Wight had the lowest rate at 1,400. Deaths: In 2015, there were 6,813 deaths which were related to the consumption of alcohol. This is 1.4 percent of all deaths. Prescriptions: The number of prescription items dispensed in 2016 was 188 thousand which was 4 percent lower than 2015. The total Net Ingredient Cost (NIC) was £4.87 million. This is 24 percent higher than in 2015 and more than double the level ten years ago.